In her recent newsletter, Kendra Lee, CEO of KLA Group lists the worst prospecting voicemail mistakes sales people make. As I reviewed the list, I thought much of it applies to making calls regardless of your profession. Whether it’s for research, cold calling to collect information, competitive intelligence or win loss analysis, when you instigate a telephone call you are in the sales mode. You want information. In the spirit of cooperative intelligence I have modified these tippers for research and competitive intelligence professionals! Not having planned what you will talk about in advance. I always prepare a list of questions, but love to start the interview with open ended questions. And often enough this open ended approach renders answers to specific questions, which I won’t have to ask, and we can get to better intelligence gathering sooner. Forgetting to mention a common colleague or someone who has referred you. Why cold call when you don’t have to!? Not thinking through the possible responses they might have, thereby missing the chance to probe more deeply. I like to think about the likely responses, and what additional questions I will ask. This helps me think of entirely new questions that I didn’t think about before the call, based on what the person shares, right on the spot. Talking about yourself instead of what matters to the other person. People usually like to talk about themselves. It also loosens them up before you talk about the issues you are collecting on. Look them up on social networks like LinkedIn, Twitter or Pipl to gain appreciation of who they are. Sounding too canned to catch the other person’s attention. Customize each call as much as you can and watch people be responsive unless you have caught them at a busy time. Speaking so quickly that you can’t be heard. Or worse, mumbling. You want to exude confidence and come across as positive. People like to talk those who are upbeat. Calling when you’re tired, depressed or not alert. You want to be on top of your game to maximize in collection. If you’re too tired, it’s hard to think of questions and comments to probe more deeply that are outside of your script. You will sound flat and your voice mail will be drippy too. Not asking if this is a good time for a quick call. You want to let people know that you respect their time! Not verifying that you have the right contact before leaving multiple messages. Speaking for more than 30 seconds without letting the other person say anything. Not showing that you have researched the other person’s situation in your voicemail message. 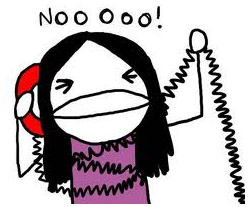 Leaving a message that’s too short and doesn’t give the other person a compelling enough reason to call you back. Not leaving your name and contact information at the end of the message. Better yet, leave it at the beginning when the prospect is poised to take notes. Leaving a voicemail with lots of verbal pauses (“ums” or “ahs”) that make you sound less confident, and less credible. Using a tone of voice that suggests you don’t expect a call back. Failing to stick to one topic per voicemail message. Not following up via other means like email. What tips can you add?